Enjoy the Anoki experience out-of-town at Anoki Burton. Located on the A38 in Egginton, between Derby and Burton, and just 30 minutes from Birmingham, Anoki Burton is a smart dining venue, where you’ll be treated to our award-winning cuisine and customer service, served up in a unique ambience. With a capacity of more than 170, a superb staff and a team of master chefs to match, Anoki Burton excels for everything from the big occasion to a family meal and an intimate evening for two. It has its own large well-lit car park, from where our staff will be waiting to welcome you. Lovely food, but prices are way too high. Menu is too limited. Service charge needs scrapping, should be up to the customer whether he leaves a tip or not. Wish I could say I would comeback again. Evening started excellent and the food is amazing however as soon as it got busier no-one seemed to care when we wanted more drinks, we ordered but they never came and then when we finished my son wanted to take away his tandoori chicken, the server took it and said he would get it boxed up and bring our bill. Bill took another 20mins to arrive after asking 3 other staff and the tandoori chicken never came back to us which upset my son even when we asked about it. It was dreadful service which outweighed the food and so we won't be returning. 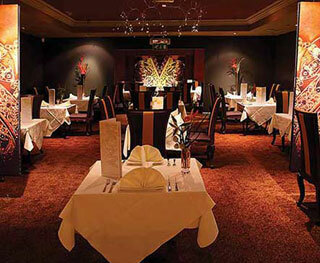 I love this restaurant.The decor is magnificent.The atmosphere is congenial and the service is excellent . I changed the booking three times and they changed it without qualms .The food is served on beautiful china and was delicious .Cannot wait for the next time . Not our first visit but as always, Anoki Burton never disappoints. The food was just delicious and the staff lovely and kind. I had the curry leaf cod and my husband, lamb gohst. Two dishes we would definitely recommend. Beautiful! The food was absolutely beautiful and very tasty. We were disappointed that it took at least an hour before we received our starter, from the time we arrived. We noticed that the restaurant was very busy and that staff were rushing to keep up with orders. However, the papadums took away some of our hunger pangs and filled a little time as well, while the service bringing our main course was quicker. Food was delicious. Service was extremely slow and lacking interaction and professionalism in my opinion. I had expected much more from the service and the ambiance based on the prices. The meals are twice the price of most Indian restaurants- for this I expected more. Having said that the food was delicious. 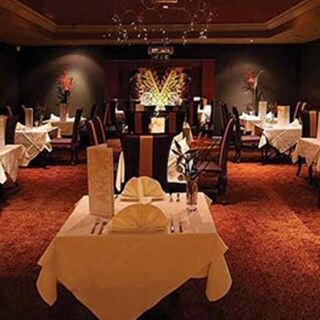 The best indian i have ever been to, have been a few times and always my first choice! The staff are so welcoming and seated us straight away even though we were early for our booking. Thank you for ensuring my onion allergy was catered for. It was a very busy night and we were put on a small table at the far end of the restaurant. A bit tight. Service was below usual Anoki standard but the food was excellent as always ( if anything it's improving - with a bit more heat and brighter flavours) and we were in good company so not an issue. We love Anoki. It's comfortable, relaxed, and feels like home. This was a fantastic meal, it is expensive but it is just about value for money.